ProBuilder is totally free available through the package manager. If you’re using 2017 or 5.6 you’ll get critical bug fixes. However, from 2018 onwards there’s more support, using 2018.1.0b3 I dealt with a considerably severe crash bug, so update to b12 IMO. Polybrush and Progrids are things you’ll have to go get individually from Unity. select hidden as a toggle is a great option, because in 3D you are seeing an orthographic projection so you will click on the thing that is drawn closest to the camera! Polybrush will let you sculpt, smooth, texture blend, scatter objects, etc. Why is progrids helpful? Short answer: if you’re not super familiar with 3D modeling and creation software (i.e. Maya) you can create simple geo without leaving Unity editor. Why would you be obsessive about making sure your geo fits your 1 meter grid size? Short answer: This helps you avoid errors with geo creation such as horrid angles and hidden faces. Can you talk a little bit about automation with Probuilder? 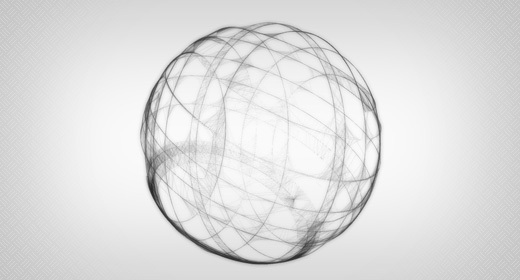 Just as I was thinking about an interesting demo to play with drawing functions in Unity3D, Mrdoob published his Harmony drawing tool made with HTML5/Canvas. It looks really cool, so I though how about doing this in 3D? I only had to figure out how to draw lines. I did some research and below I present 3 different solutions. You can grab the source of the examples discussed below here. When it comes to lines, the first thing you’ll bump into in the Unity3D API is the Line Renderercomponent. As the name suggests, it is used to draw lines so it seems the right tool for the job. Lines in this case are defined by 2 or more points (segments), a material and a width. It has an important limitation: the line must be continuous. So if you need two lines, you need two renderers. The other problem is that the Line Renderer acts very strangely when new points are added dynamically. The width of the line does not seem to render correctly. It’s either buggy or just wasn’t designed for such use. Because of these limitations I had to create a separate Line Renderer for each tiny bit of line I’m drawing. It was easy to implement, but not very fast since I end up spawning lots of GameObjects each with a LineRenderer attached. It seems to be the only option if you don’t have Unity3D Prothough. The Graphics class allows to draw a mesh directly without the overhead of creating game objects and components to hold it. It runs much faster than Line Renderer, but you need to create the lines yourself. This is a bit more difficult but also gives you total control of the lines – their color, material, width and orientation. First, you get the normal of the plane on which both start and end vectors lie. This will be the plane on which the line-quad will located. The cross product of the normal and of the difference between end and start vectors gives you the side vector (the “thin” side of the quad). You need to normalize it to make it a unit vector. Finally calculate all 4 points of the rectangle by adding the side vector multiplied by half width to both start and end points in both directions. In the source code all this happens in MakeQuad and AddLine methods, so take a look in there. It wasn’t easy to implement, but once I was there it runs pretty fast. No fast is fast enough! Instead of leaving this topic and live happily with the Graphics solution, I kept searching for something even better. And I found the GL class. GL is used to “issue rendering commands similar to OpenGL’s immediate mode”. This sounds like fast, doesn’t it? It is! Being much easier to implement that the Graphics solution it is a clear winner for me, the only drawback being that you don’t have much control over the appearance of the lines. You can’t set a width and perspective does not apply (i.e. lines that are far behind look exactly the same as those that are close to the camera). For massive & dynamic line drawing LineRenderer is not the best solution, but it is the only one available in Unity free version. It can surely be useful to draw limited amounts of static lines and this is probably what it was made for. If you do have Unity3D Pro, the solution with Graphics is reasonable and very flexible but if it is performance you’re after choose GL.